flirting with 50, divorced (Travis Pembroke, had a wandering eye'), mother of Amaryllis PD Detective Bradley Pembroke, apple of her father Jake Kelley's eye, best friend of Mary Lynn Hargrove, the mayor's wife, and the only human creature tolerated by Abijah, the 18-pound orange tabby who stalks the family home-turned B&B. I've loved reading since I was a small child, but never understood my mother and grandmother's love for mysteries until I was much older. All I could think of was boring British mysteries that put people to sleep. Then I discovered cozy mysteries with female sleuths. 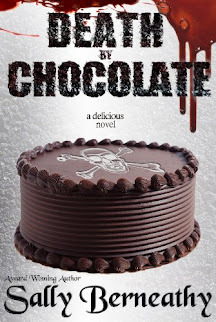 Judy Nickles is one of those authors that makes the mystery genre worth reading. I was amazed at how quickly I was sucked into this book. The characters are fabulous and believable and the book is an all-around good read. 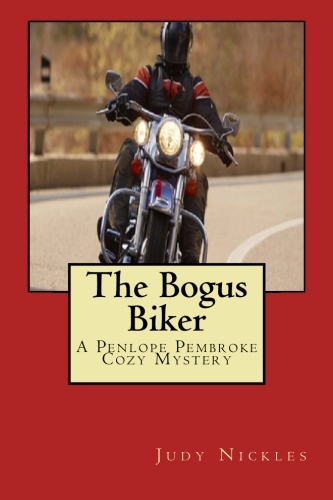 If you want a book to curl up with, grab a copy of The Bogus Bikers by Judy Nickles.